From the Heart appliqué bom. 9 months. 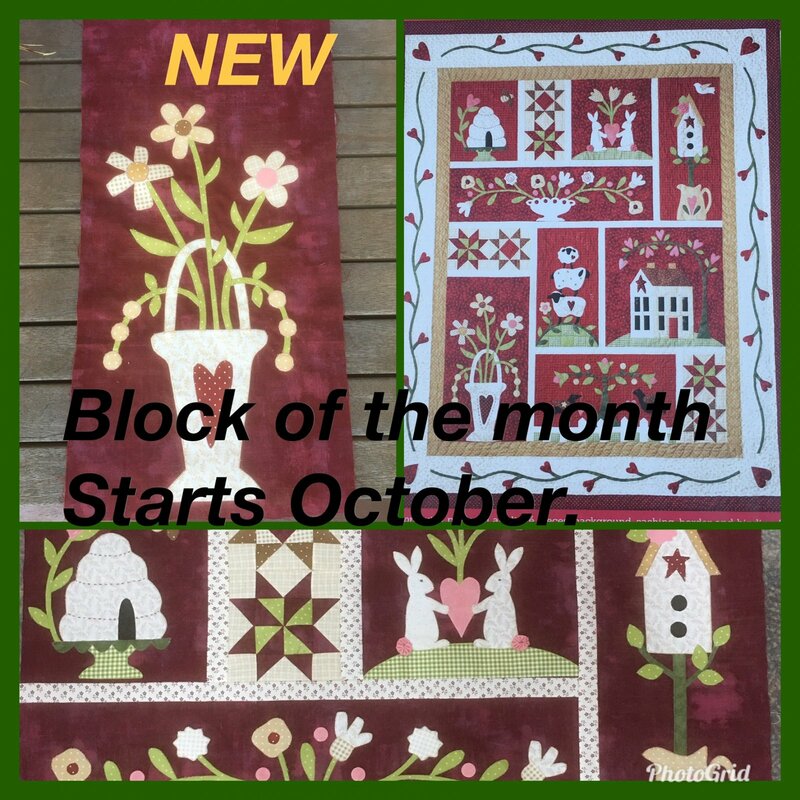 One block is posted out each month. Includes pattern and fabric each month and a finishing pack at block 9.
payment is monthly via PayPal or phone us at the shop with card details. Also available as a full kit. $ 35 per month, Postage is extra.